We, the Jesuits of Africa and Madagascar, strongly condemn the horrific murder of Fr. Victor-Luke Ohdiambo SJ, a Jesuit priest from Kenya, on 15 November 2018, in Cueibet, South Sudan. Our hearts go out to the family of Fr. Odhiambo, praying that the Risen Christ console them. Fr. Odhiambo worked in war-torn South Sudan for over ten years. He was gunned down by unknown assailants who stormed the Jesuit Community. At the time of death, Fr. 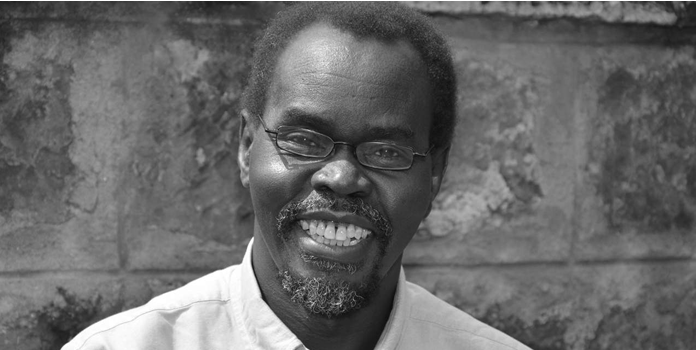 Odhiambo was the Principal of Mazzolari Teachers’ College in Cueibet and Acting Superior of the Community. He had been a Jesuit for 40 years. Fr. Odhiambo will be buried today in Cueibet, on the grounds of the College, where he gave his life in service to Christ’s mission. South Sudan has known conflicts for many years and remains the most fragile state in the world. Jesuits and their partners in mission have worked in Wau, Kajokeji, Tabura-Yambio, Lobone, Nimule, Yei, Maban, Rumbek, Cueibet and Juba, and several of them have been attacked multiple times, forced to abandon a school in Wau at the peak of the war, ambushed by armed gangs, kidnapped, and witnessed violent attacks on innocent South Sudanese. The Jesuit General Congregation 36 decried the toll of conflict and violence in places like South Sudan, stating: “Since the last General Congregation, we have seen situations of heart-breaking conflict in many parts of the world. The sad litany includes Syria and South Sudan, Colombia and the Great Lakes region of Africa, the Central African Republic, Afghanistan, Ukraine, Iraq and so many other places. There has been devastating loss of life and massive displacement of peoples. These conflicts have a global reach. Those who serve at the frontline have been especially affected” (“Witnesses of Friendship and Reconciliation: A message and a prayer for Jesuits living in zones of war and conflict”). In all these situations, Jesuits have been unwavering in their solidarity with the local church and the people of South Sudan. According to the United Nations and its agencies, the combination of armed conflict, inter-communal violence, disease outbreaks and economic crisis has killed over 50,000 civilians, displaced one in every four South Sudanese, made over 2 million refugees and impeded the country’s progress since independence in 2011. Presently, 7.5 million South Sudanese urgently need humanitarian assistance and protection. The violence in South Sudan is largely attributed to antagonistic competition for power, inter-clan rivalry enshrined in a revenge culture and, most importantly, proliferation of small arms and light weapons. Revenge killings or what some people understand as blood compensation has created unending cycle of violence that has produced millions of orphans and widows who are also looking for an opportunity to revenge. Appeal to all parents, leaders of families, clans, states and the nation in South Sudan to come together and unequivocally say no to the culture of violence and death. We must overcome the forces of hate with the spirit and power of love, justice, peace and reconciliation.